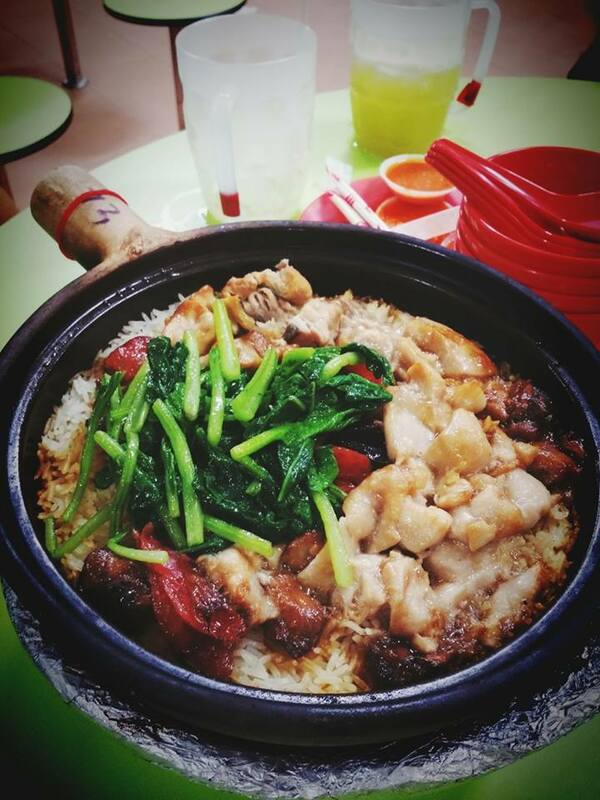 Yew Chuan Claypot Rice At Beach Road Hawker Centre. After a jogging session with some of my colleagues, we decided to stop by at the newly reopened food court, the Golden Mile Food Court at Beach Road for our dinner. We went around the food court and we settled down at this stall, Yew Chuan claypot rice. I let my colleague to order the claypot while the rest of us look for table and ordered drink. The waiting time for the claypot rice to be ready seem quite long even though I do not see many customers around. Well, good food is worth to wait. We conquered the whole claypot rice which comes with generous amount of ingredients such as chicken meat, some salted fish, Chinese sausages, vegetable and I couldn’t recall the name of the black colored sausage. I added some black sauce, mixed them around and let the ingredients’ essence immersed into the rice before start eating them. Address: Golden Mile Food Court, Beach Road, Singapore.